22 days until Election Day. Sign up to volunteer some time to flip Congress and stop the Trump-Republican agenda in it’s tracks! Two days ago, his video went viral. Today, she got what she deserved. Get Off My Lawn: Trump Proposal Could Squelch Protests in D.C. The corruption in the Republican Party goes all the way to the very top. Michael Cohen twisted the knife in Trump’s back with today’s comments. Finally free from Turkish prison, the pastor did NOT expect to have to answer this. In Missouri this week, a state judge thankfully blocked twisted efforts to mislead voters into not showing up to the polls. The voter identification law in Missouri, which requires any form of identification, was being purposefully advertised by state officials as specifically requiring a photo ID. This distinction creates a huge deterrent for many lower-income, under-25, and elderly voters, who may very well be able to identify themselves in ways other than a photo ID (which costs money, time, and effort to obtain). Although caught and corrected in Missouri, tricks like these are happening all over the country, thanks to GOP voter suppression laws and sneaky maneuvering. That’s why it’s more important than ever to make sure you, and your community, are all registered before it’s too late — registered in the face of any misleading propaganda issued by Republicans who are scared of what their voters might want to say in the polls. Check your state’s voter registration deadline. If it hasn’t passed, share the deadline and Indivisible’s voter registration tool with your community — via email, social media, and in-person. Help ensure every Democrat in every state is registered. We are now only three weeks to midterms, and although flipping Congress is on the horizon, it is absolutely not in the bag. And beyond Congress, close state-level races will determine future Congressional district lines, gun laws, abortion rights, and more. Every single swing district, every tight race remains unclaimed — and the opposition is working hard to keep the GOP grip on this country, despite the #BlueWave lapping at its heels. But in order to see this momentum through, we’ll need record numbers of Democrats turning out for election day. Make sure you’re ready for November 6 — and then make sure your network is prepared too. Every vote counts. Check your state’s voter registration deadline — there might still be time to register. 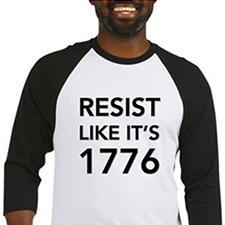 Then, share the deadline and Indivisible’s handy voter registration site with your entire circle, via email, social media, and in-person. 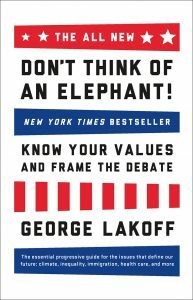 PS — Please don’t forget to sign the petition to demanding the American public be allowed to see the results of FBI’s investigation into Kavanaugh’s alleged sexual assault, and check out the brilliant “Don’t Think of an Elephant” by George Lakoff — a quick read that contains the ultimate keys for Democrats to win elections — and arguments.